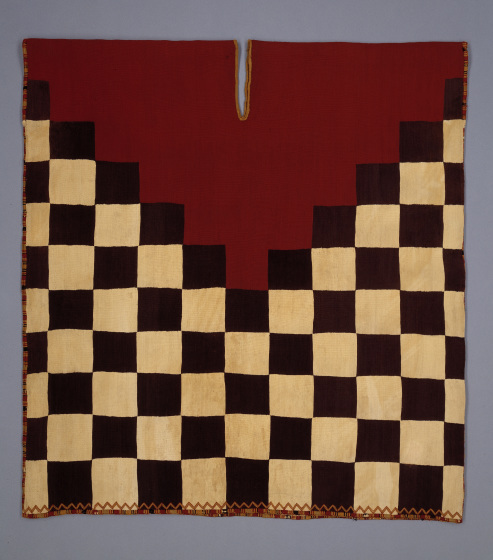 The standardization of design and regional production that distinguish Inca art from preceding Andean cultures can be seen foremost in the fine tapestry-woven textiles, or cumbi (qompi), exclusive to Inca nobles. Woven by specialists, cumbi have a high thread count generally composed of alpaca or vicuña fiber, two of the four native camelid species. 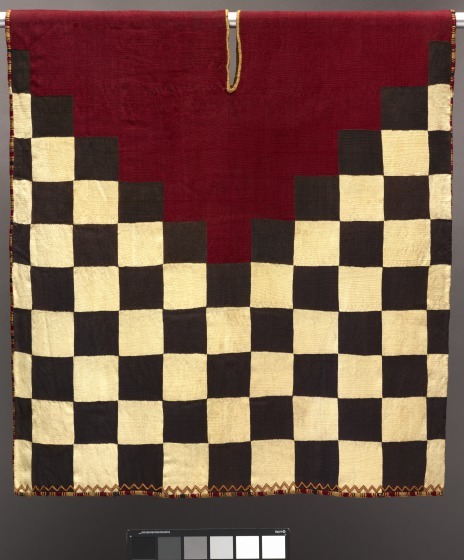 The most impressive Inca garment type is the man’s knee-length tunic, or uncu (unku). 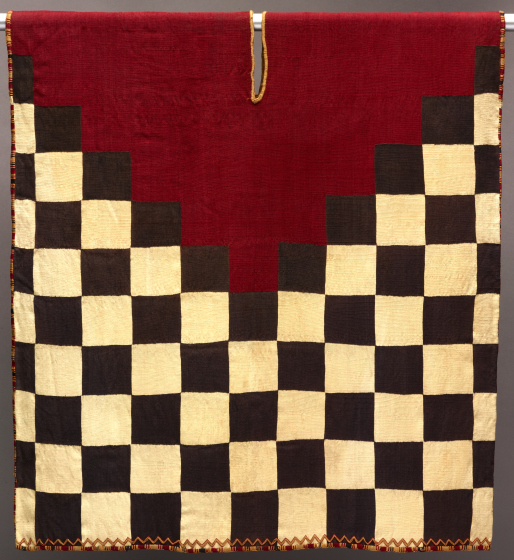 Produced in standardized designs, the bold black-and-white checkerboard pattern with a stepped red yoke is especially dramatic. 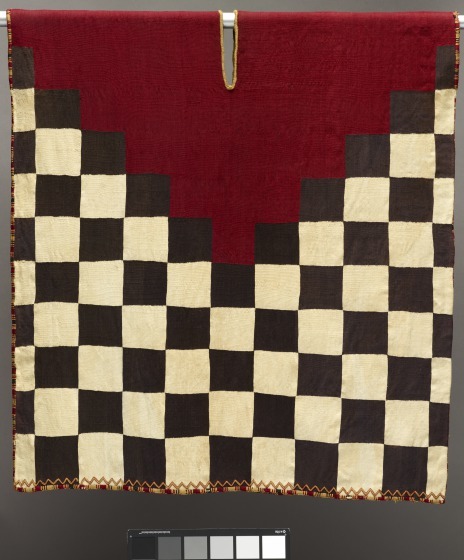 The white and black colors reflect natural camelid fiber, although near-black squares also may be produced through deep indigo dyes. The red likely derives from the ruby color of cochineal, an insect that lives on prickly pear cacti. 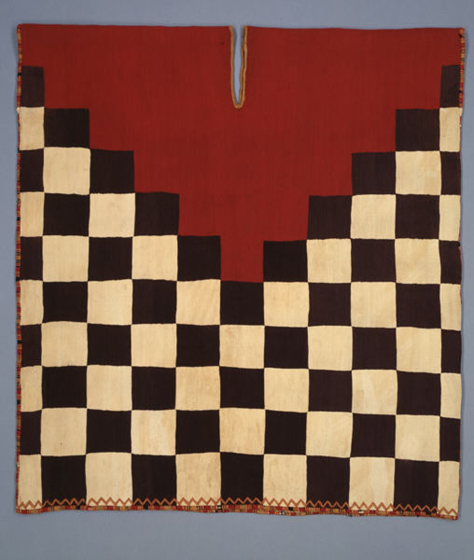 The fiber and dye, as well as weaving expenditures, on these standardized tunics support a clear affiliation with noble status. 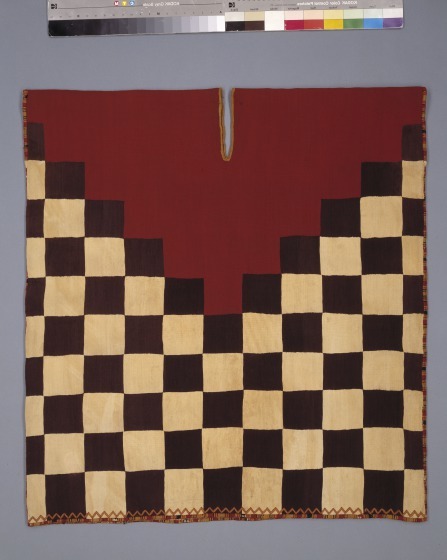 Sixteenth-century Spanish chroniclers described Inca army officials as wearing tunics with a chessboard pattern, perhaps suggesting that this common standardized tunic design had high-ranking military associations. Kimberly L. Jones, PhD, Inca: Conquests of the Andes / Los Incas y las conquistas de los Andes, Label text, 2015.